The Nefertiti Bust is a painted stucco-coated limestone bust of Nefertiti, the Great Royal Wife of the Egyptian Pharaoh Akhenaten. The work is believed to have been crafted in 1345 B.C. by the sculptor Thutmose, because it was found in his workshop in Amarna, Egypt. It is one of the most copied works of ancient Egypt. Owing to the work, Nefertiti has become one of the most famous women of the ancient world, and an icon of feminine beauty. Ludwig Borchardt was a German Egyptologist who was born in Berlin. He is best known for finding a famous bust of Nefertiti at Amarna. Merkers-Kieselbach is a former municipality in the Wartburgkreis district of Thuringia, Germany. Since 31 December 2013, it is part of the municipality Krayenberggemeinde. Great Royal Wife, or alternatively, Chief King's Wife, is the term that was used to refer to the principal wife of the pharaoh of Ancient Egypt, who served many official functions. Thutmose, also known as "The King's Favourite and Master of Works, the Sculptor Thutmose" was an Ancient Egyptian sculptor. He flourished around 1350 BC, and is thought to have been the official court sculptor of the Egyptian Pharaoh Akhenaten in the latter part of his reign. A German archaeological expedition digging in Akhenaten's deserted city of Akhetaton, at Amarna, found a ruined house and studio complex in early December 1912; the building was identified as that of Thutmose based on an ivory horse blinker found in a rubbish pit in the courtyard inscribed with his name and job title. Since it gave his occupation as "sculptor" and the building was clearly a sculpture workshop, the determination seemed logical and has proven to be accurate. 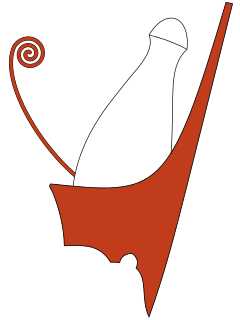 The Deutsche Orient-Gesellschaft, abbreviated DOG, is a German voluntary association based in Berlin dedicated to the study of the Near East. In 2007, Hawass threatened to ban exhibitions of Egyptian artifacts in Germany if Nefertiti was not lent to Egypt, but to no avail. Hawass also requested a worldwide boycott of loans to German museums to initiate what he calls a "scientific war". Hawass wanted Germany to at least lend the bust to Egypt in 2012 for the opening of the new Grand Egyptian Museum near the Great Pyramids of Giza. Simultaneously, a campaign called "Nefertiti Travels" was launched by cultural association CulturCooperation, based in Hamburg, Germany. They distributed postcards depicting the bust of Nefertiti with the words "Return to Sender" and wrote an open letter to the German Culture Minister, Bernd Neumann, supporting the view that Egypt should be given the bust on loan. In 2009, when Nefertiti moved back to the Neues Museum – her old home, the appropriateness of Berlin as the bust's location was questioned. Ankhkheperure Smenkhkare Djeser Kheperu was a short-lived pharaoh in the late 18th dynasty. The names of this pharaoh translate as 'Living are the Forms of Re' and 'Vigorous is the Soul of Re – Holy of Forms'. His or her reign, for it is uncertain whether Smenkhkare was male or female, was during the Amarna Period, a time when Akhenaten sought to impose new religious views. He or she is sometimes distinguished from the immediate predecessor (successor? ), the female ruler Ankhkheperure Neferneferuaten. Unlike Neferneferuaten, Smenkhkare did not use epithets in his or her royal name or cartouche. The Egyptian Museum of Berlin is home to one of the world's most important collections of Ancient Egyptian artifacts, including the iconic Nefertiti Bust. Since October 2009, the collection is part of the reopened Neues Museum on Berlin's Museum Island. Ankhkheperure-mery-Neferkheperure/ -mery-Waenre/ -mery-Aten Neferneferuaten was a name used to refer to either Meritaten or, more likely, Nefertiti. The succession of kings at the end of the Eighteenth dynasty of Ancient Egypt is a matter of great debate and confusion. There are very few contemporary records that can be relied upon, due to the nature of the Amarna Period and the reign of Akhenaten and his successors and possible co-regents. It is known that Akhenaten reigned for seventeen years, and it was previously believed that in the last 3 or 4 years, he had two co-regents: Smenkhkare, who was possibly his brother or son, and Neferneferuaten, who was either one of his daughters or his Great Royal Wife Nefertiti. It is unknown in which order they followed each other, and neither of their reigns lasted long, for Tutankhamun succeeded not long after Akhenaten's death. 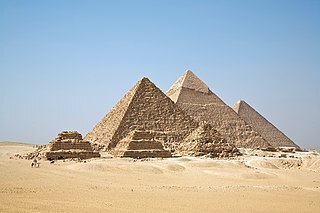 The Eighteenth Dynasty of Egypt is classified as the first dynasty of the New Kingdom of Egypt, the era in which ancient Egypt achieved the peak of its power. The Eighteenth Dynasty spanned the period from 1549/1550 to 1292 BC. This dynasty is also known as the Thutmosid Dynasty for the four pharaohs named Thutmose. Tina Haim-Wentscher also: Tina Haim-Wentcher was a German-Australian sculptress. The Standing Figure of Nefertiti is a limestone sculpture of Queen Nefertiti, dating from the year 1350 BC. It is in the Egyptian Museum of Berlin. The queen's depiction is typical of the early Amarna Period. She is wearing sandals and a transparent robe. The figure was found in multiple pieces in 1920 during an excavation by the German Oriental Society in the remains of the studio of Thutmose. 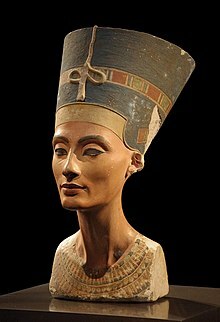 As a Great Royal Wife, Nefertiti has a special role in the history of Ancient Egypt. For this reason various representations of her have been preserved, although complete statues are rare. 1 2 3 4 5 Dempsy, Judy (18 October 2009). "A 3,500-Year-Old Queen Causes a Rift Between Germany and Egypt". The New York Times. Retrieved 15 November 2009. ↑ "Nefertiti - Ancient History - HISTORY.com". HISTORY.com. Retrieved 18 November 2016. ↑ e.V., Verein zur Förderung des Ägyptischen Museums und Papyrussammlung Berlin. "Nefertiti: (Society for the Promotion of the Egyptian Museum Berlin)". www.egyptian-museum-berlin.com. Retrieved 18 November 2016. 1 2 3 Tharoor, Ishaan. "The Bust of Nefertiti: Remembering Ancient Egypt's Famous Queen". Time. ISSN 0040-781X . Retrieved 18 November 2016. 1 2 3 4 Maryalice Yakutchik. "Who Was Nefertiti?". Discovery Channel. Archived from the original on 5 January 2010. Retrieved 23 November 2009. 1 2 Christine Dell'Amore (30 March 2009). "Nefertiti's Real, Wrinkled Face Found in Famous Bust?". National Geographic Society . Retrieved 16 November 2009. ↑ Charlotte Booth (30 July 2007). The Ancient Egyptians for Dummies. for Dummies. ISBN 978-0-470-06544-0. 1 2 3 4 Connolly, Kate (7 May 2009). "Is this Nefertiti – or a 100-year-old fake?". The Guardian . London. Retrieved 21 November 2009. 1 2 3 4 "Archaeological Controversy: Did Germany Cheat to Get Bust of Nefertiti?". Spiegel Online. 10 February 2009. Retrieved 17 November 2009. 1 2 3 4 5 Roger Boyes (20 October 2009). "Neues Museum refuses to return the bust of Queen Nefertiti to Egyptian museum". The Times . London. Retrieved 15 November 2009. ↑ "Top 10 Plundered Artifacts". TIME . 5 March 2009. Retrieved 24 November 2009. 1 2 3 "Nefertiti's 'hidden face' proves Berlin bust is not Hitler's fake". Science News . 27 April 2009. Archived from the original on 4 July 2012. Retrieved 23 November 2009. 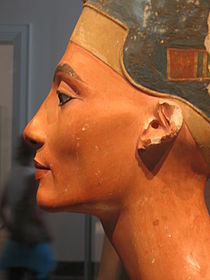 For pictures, "Nefertiti's 'Hidden Face' Proves Famous Berlin Bust is not Hitler's Fake". 3 April 2009. Retrieved 23 November 2009. ↑ Horst Woldemar Janson; Anthony F. Janson (2003). History of art: the Western tradition. Prentice Hall PTR. ISBN 978-0-13-182895-7. 1 2 Schultz. Egypt the World of Pharaohs: The World of the Pharaohs. American Univ in Cairo Press. p. 203. ISBN 978-977-424-661-6. 1 2 Helen Gardner (2006). "Art of Ancient Egypt". Gardner's Art Through the Ages: the western perspective. Cengage Learning. p. 64. ISBN 978-0-495-00478-3. ↑ Silverman, David P. (1997). Ancient Egypt. USA: Oxford University Press. p. 221. ISBN 0-19-521952-X. ↑ Rudolph Anthes (1961). Nofretete – The Head of Queen Nofretete. Mann, Berlin: Verlag Gebr. p. 6. ↑ Matthias Schulz (2012). "Die entführte Königin (German)". Der Spiegel. 49 (3 December 2012): 128. ↑ Joyce A. Tyldesley, Nefertiti: Egypt's sun queen, Viking, 1999, p.196. 1 2 3 4 Lorenzi, R (5 September 2006). "Scholar: Nefertiti Was an Aging Beauty". Discovery News. Discovery Channel. pp. 1–2. Retrieved 18 December 2009. 1 2 Szabo, Christopher (12 May 2009). "Egypt's Rubbishes Claims that Nefertiti Bust is 'Fake'". DigitalJournal.com. 1 2 Patrick McGroarty (31 March 2009). "Nefertiti Bust Has Two Faces". Discovery News. Discovery Channel. pp. 1–2. Retrieved 17 November 2009. 1 2 For comparative analysis between 1992 and 2006 CT scans: Bernhard Illerhaus; Andreas Staude; Dietmar Meinel (2009). "Nondestructive Insights into Composition of the Sculpture of Egyptian Queen Nefertiti with CT and the dependence of object surface from image processing" (PDF). NDT Database & e-Journal of Nondestructive Testing. ↑ "Hidden Face In Nefertiti Bust Examined With CT Scan". Science Daily . 8 April 2009. Retrieved 23 November 2009. 1 2 3 4 5 Dan Morrison (18 April 2007). "Egypt Vows "Scientific War" If Germany Doesn't Loan Nefertiti". National Geographic News. National Geographic Society . Retrieved 15 November 2009. 1 2 3 Moore, Tristana (7 May 2007). "Row over Nefertiti bust continues". BBC News . Retrieved 22 November 2009. 1 2 3 4 5 6 7 8 9 10 11 12 "The Bust of Nefertiti: A Chronology". "Nefertiti travels" campaign website. CulturCooperation. 2007. Archived from the original on 18 March 2015. Retrieved 22 November 2009. 1 2 Tony Paterson (17 October 2009). "Queen Nefertiti rules again in Berlin's reborn museum". The Independent . London. Retrieved 15 November 2009. ↑ Isabelle de Pommereau (2 November 2009). "Germany: Time for Egypt's Nefertiti bust to go home?". The Christian Science Monitor. Retrieved 15 November 2009. ↑ "Thutmose's Bust of Nefertiti (Amarna Period)". Smarthistory at Khan Academy . Retrieved 15 March 2013. ↑ Kimmelman, Michael (23 October 2009). "When Ancient Artifacts Become Political Pawns". New York Times. Retrieved 15 November 2009. ↑ El-Aref, Nevine (14–20 July 2005). "Antiquities wish list". Al-Ahram Weekly (751). Archived from the original on 16 September 2010. ↑ "Nefertiti travels". CulturCooperation. 2007. Archived from the original on 18 May 2015. Retrieved 22 November 2009. 1 2 HUGH EAKIN (21 June 2003). "Nefertiti's Bust Gets a Body, Offending Egyptians". The New York Times . Retrieved 21 November 2009. ↑ For a picture of "The Body of Nefertiti" see "Nefertiti's Bust Gets a Body, Offending Egyptians: A Problematic Juxtaposition". The New York Times . 21 June 2003. Archived from the original on 8 October 2011. Retrieved 23 November 2009. ↑ Elizabeth Young, "Here Comes the Bride: Wedding Gender and Race in Bride of Frankenstein"; Feminist Studies, Vol. 17, 1991. 35 pgs.